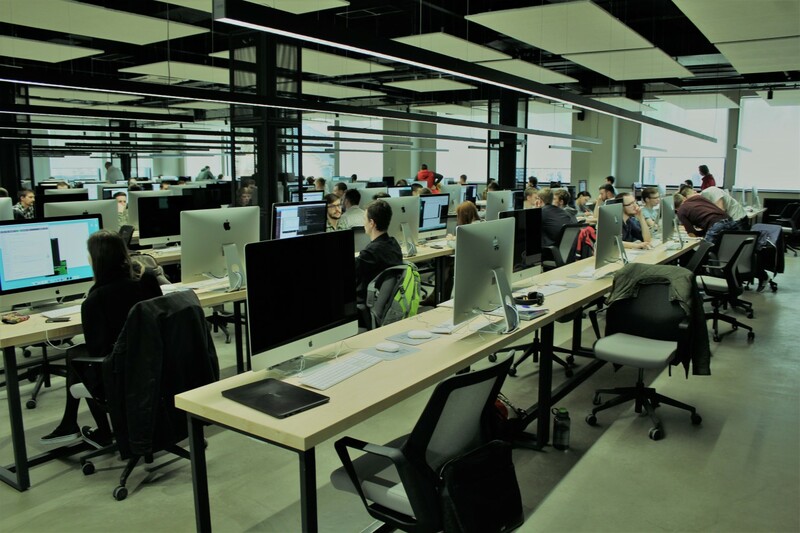 Now [bvblogic] / Navizor company has a comfortable office in the TCDC (Technology Companies Development Center) in Kyiv on Dorozhnytska Street, 1. 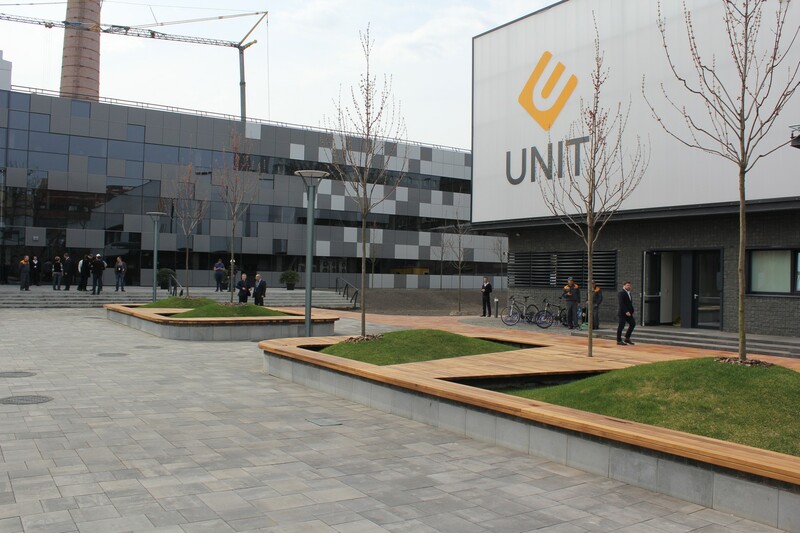 The official opening of the first innovative techno park UNIT.City on the territory of a motorcycle factory in Kyiv was organized last Thursday. This project is being developed with the financial help of Vasyl Khmelnytsky’s fund – K.Fund. The main goal of this techno park is to become a single platform for connecting technological companies, gathering creative ideas, startups, R&D Centers, educational projects, accelerators and incubators. Right now, TCDC is actively working on the territory of UNIT.City. 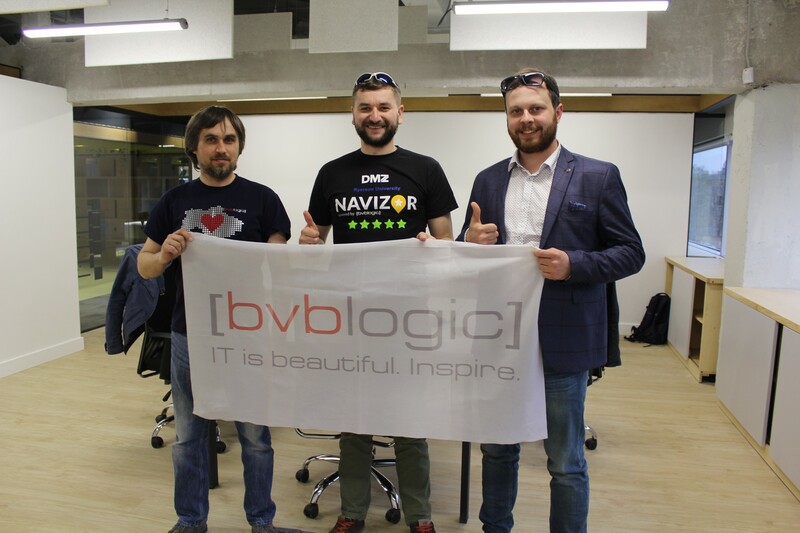 And our company [bvblogic] / Navizor has become its resident. There also is a Unit Factory (a factory of programming) which works on the model of self-education in the partnership with French School 42. As of now, 300 students study there, and there is a plan to multiply this figure by 10. The representatives of our company Vitaliy Rodumiuk, Bohdan Futerko and Andriy Khomyn attended the opening of technopark unit.City where they met the first residents of TCDC and established partnerships with some of them. All residents of TCDC are talented, creative and innovative companies. To name just a few: Concepter – the developers of Iblazr, Smartfarming – mapping solutions for agricultural companies, Forland – automatization of agricultural manufacturing, Karpaty.ua – content platform of a new level, VR First – virtual reality lab, FabLab Fabricator – 3D prototyping lab and others. ‘This is a great opportunity for us to work in the environment of the most progressive Ukrainian IT companies. We will look for new possibilities of outsourcing as well as development of our own products. The office in Kyiv is a center of communication and exploration for us,’ Vitaliy Rodymiuk, CEO [bvblogic] / Navizor. The new office in Kyiv has modern comfortable rooms, conference rooms with all the necessary technical infrastructure, comfortable rest and sport zones, a cafe and a beautifully arranged territory. Now we have many plans connected with our new office. We are going to spread our contacts, to establish partnerships with other companies, that need efficient IT solutions for the realization of their business tasks. We are also ready to help the new young companies and startups to launch their project and to get their market share. Our technical expertise and our experience let us create successful products not only for Ukrainian customers, but also for the global market. [bvblogic] company specializes in the development and implementation of complex IT solutions for the following spheres: agriculture, e-Commerce, finance, insurance, logistics, navigations. Our portfolio shows many examples of successful stories about how we helped different companies to get their business to a new level. ‘The aim of Navizor in TCDC is to find new partners both from Ukraine and internationally who are interested in jointly developing the solutions that we offer. Navigation Companies – Navizor helps to obtain relevant data on the quality of roads faster and much cheaper. Logistic Companies – using Navizor service they can reduce the maintenance costs of large auto fleet, reduce the risk of damage and delayed delivery. Tracking companies – will provide the added benefit for their users by providing relevant data on the quality of roads and repair works. Network operators (such as gas stations, service stations, etc.) – using the navigation system Navizor they will attract more loyal customers to their business. And insurance companies will reduce their risks and improve the relevance of the calculation of individual insurance rates.’ Andriy Khomyn, CMO Navizor. We will be really happy to meet you at our new office in Kyiv!